Imagine Theatre is the perfect place to unleash your secret ambitions and become a singer, dancer or actor, if only for a day. 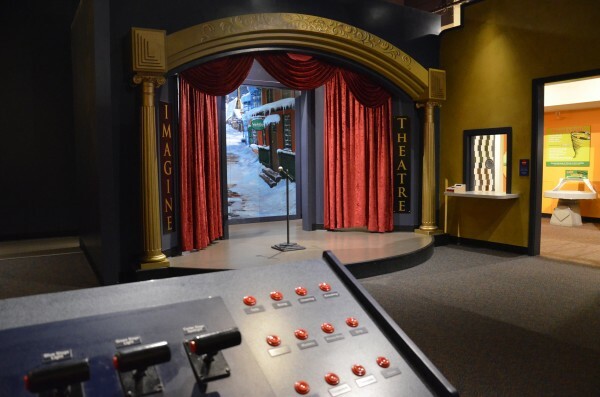 You can choose to work the ticket booth, run the lights, create sound effects, observe as a theatre guest or dash backstage and dress up to star in an impromptu production. 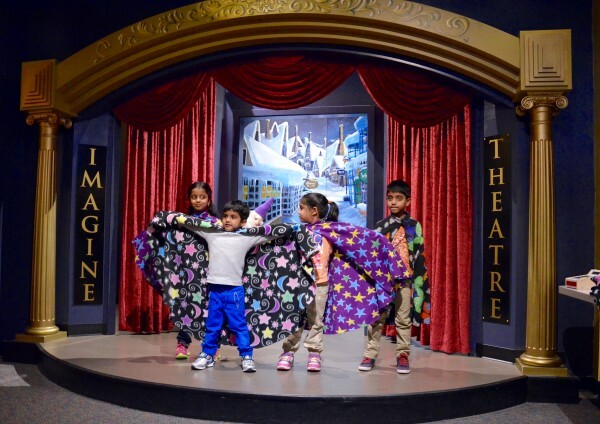 Power of Play: Role playing connects children to literacy as storytelling comes to life! They’ll build compassion, artistic development and social skills through imagination and interaction with their audience. Playful Tip: Dress up with your child and perform together to build confidence in the spotlight. 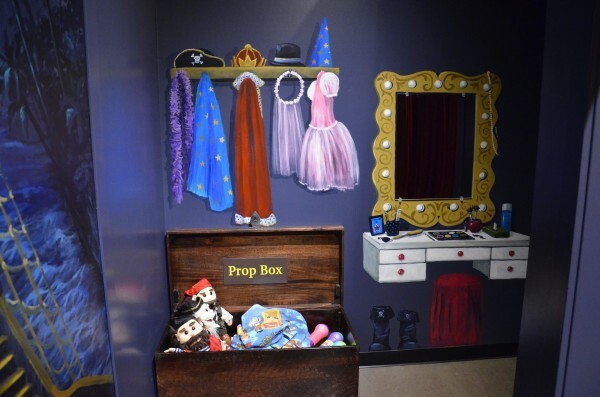 Encourage your child to explore every station within the Theatre to promote teamwork.